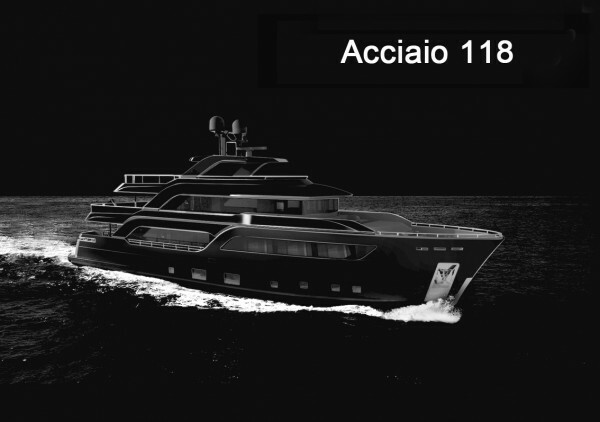 Following the announcement by Cantiere delle Marche (CdM) of a One-Off Unit and the 42m Series-K project developed by Floating Life, its most recent order is for the new Acciaio (Steel) 118 designed by Hydrotec. 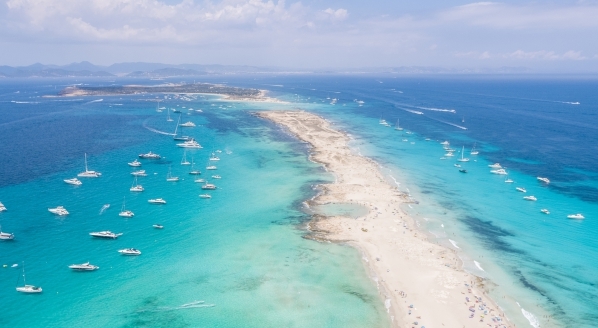 Combined with steady demand for its Darwin and Nauta Air explorers, the yard is now in the enviable position of completing a sale on average every 40 days. 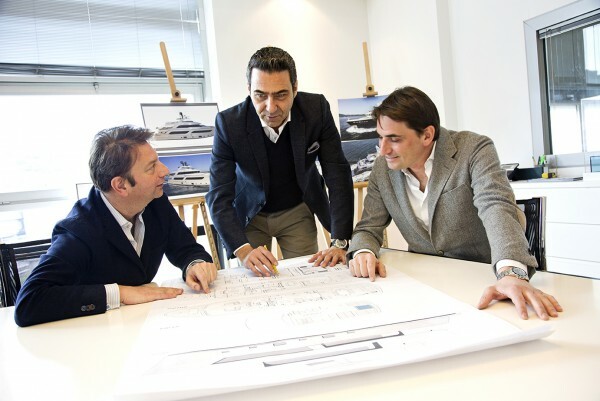 SuperyachtNews recently visited the Ancona-based shipyard to talk with general manager Bruno Piantini (seated right) and CEO Ennio Cecchini (standing centre, next to chairman Gabriele Virgili). Do these latest orders and the new custom division represent a change in business strategy for CdM? Bruno: More than a change, it’s an evolution. The idea is to maintain our core business with the Darwin and Nauta Air ranges, but develop alongside them the new Acciaio line and custom projects. The process began with the Acciaio 105, which was sold last summer and is in build for an owner who wanted an explorer based on the Darwin platform but with softer and more contemporary lines. 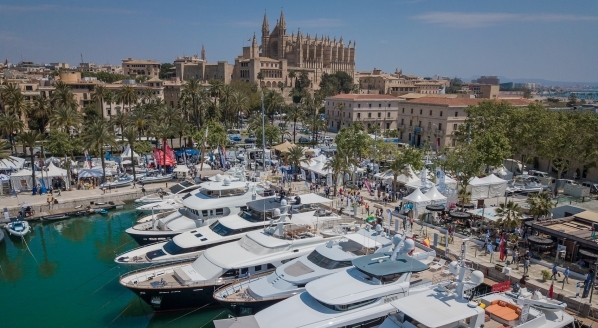 The Acciaio 118 for a Russian owner follows on from that project and both sales were made in collaboration with Konstantin Kolpakov and Richard Kaye from Arcon Yachts. 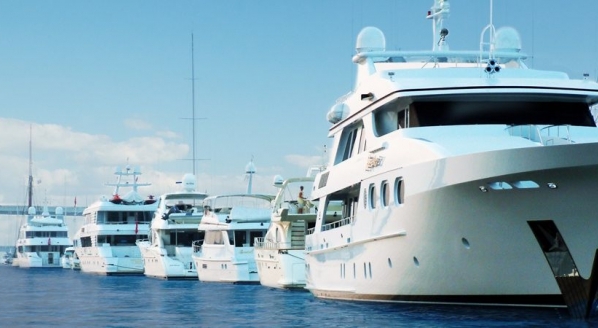 So the range has diversified with the Acciaio line, but in the meantime we’ve had numerous clients who have asked us for larger custom yachts. This is something that’s been happening for a year or so. Ennio: We reflected long and hard, because our focus has always been limited production and high quality and we actually said ‘no’ to a 50m not so long ago. It killed me to say it, but it was the right thing to do at the time. 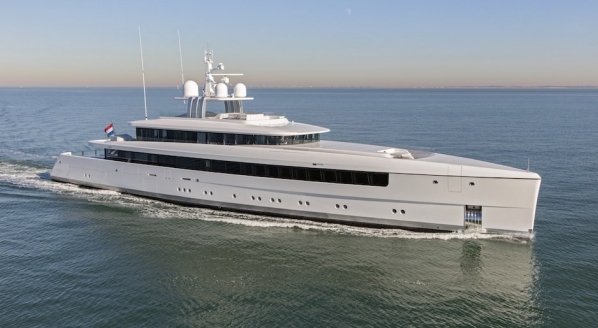 However, internally we saw there was room to develop one custom yacht a year in a larger size. It was happy coincidence that the K42 project came through when it did, but we don’t plan to increase production for now and will maintain four deliveries through 2018 so we can maintain our business plan and our approach to clients. It’s worth remembering that in addition to the four boats in build, we usually have another four in negotiation, and there are previous deliveries requiring maintenance and warranty work. How do these larger custom models fit into your production schedule? Bruno: We’ve dedicated a part of the organisation to custom construction. For flexibility we have a small full-time staff of 22 and rely on an experienced team of local subcontractors. 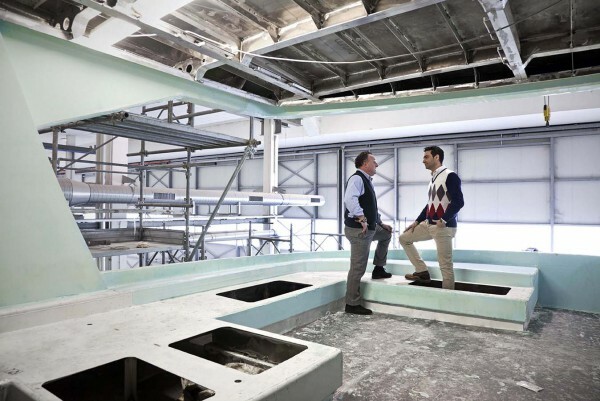 From a capacity standpoint, in the current production sheds we can build up to 50m, but we’re investing around 3 million euros to build a new hangar (60m x 20m x 17m) on site for the bigger custom projects. Ennio: Maintaining quality standards is a priority. Just one boat that is not up to scratch will see your reputation go down the drain – and there’s no saying you’ll get it back again. Ancona is a shipbuilding hub and we’ve grown up as a company with the same network of subcontractors. 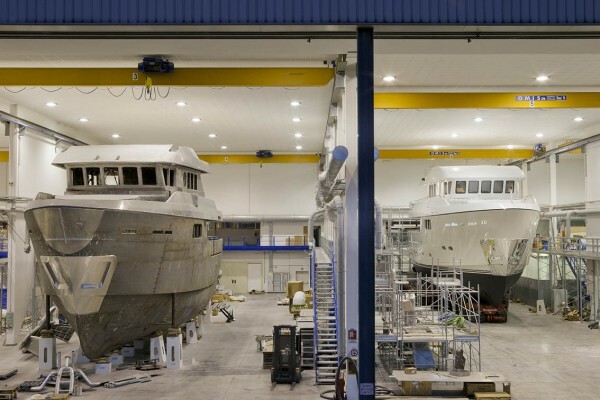 The hulls and superstructures are built off-site close by and then brought here for assembly, but the engineering – engine room fit-out, alignment of the shafts, and so on – is all done in-house. 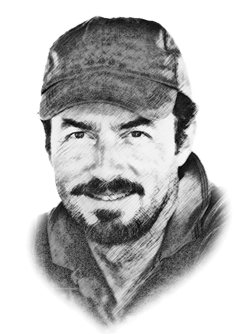 Bruno: The reality is that all our boats are customised to our owners’ needs. 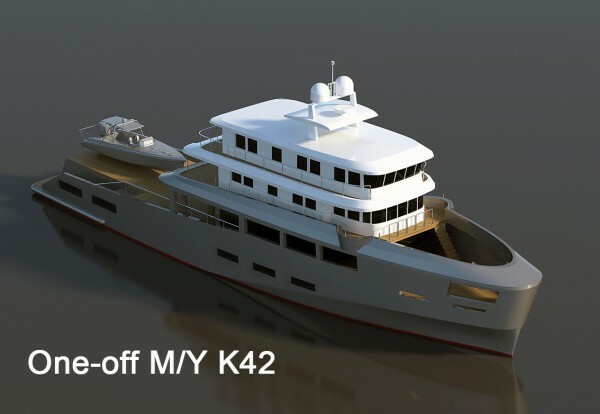 The owner of the Nauta Air 111 Hymha in build, for example, wants to do the Northwest Passage, so the hull plates below the waterline are 20mm instead of our standard 12mm. The owner of the Darwin 102 Galego, also in build, is a tall man, so we raised the ceiling and window heights for him. Just this morning I had in my office the production manager, the designer and the worker who had to integrate a step into a boat in build. There were three or four proposals on the table and we sat down to discuss the best solution. You can’t manage this business from afar: you have to be involved all the time, every day.